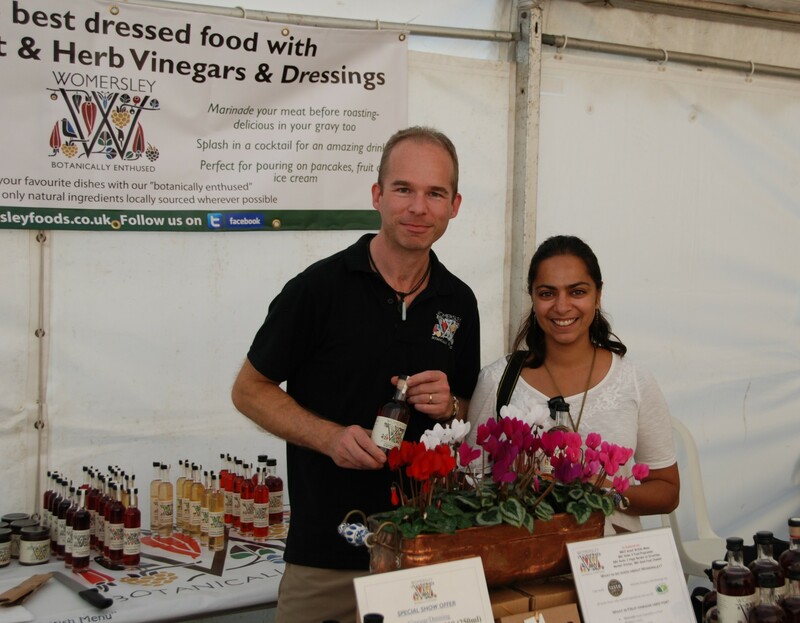 Rupert is the Managing Director of Womersley Foods, a ‘botanically enthused’ company selling fruit and herb vinegars. 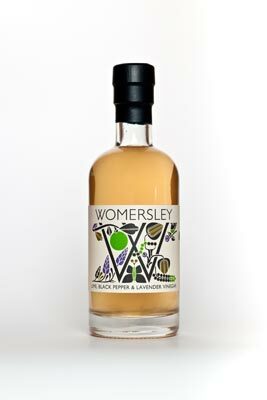 It was launched by his parents from their home, Womersley Hall, in 1979. Rupert has been running the business since 2009. The home grown aspect of the specialist herbs and fruits used as key ingredients is what impressed me. It’s hard enough to do this on a personal level – let alone within a mass production environment but the Parsons family is well known for its grand gardens and horticulture at Nymans in Sussex and Birr Castle in Ireland. I caught up with Rupert in person at Nymans and he’s as passionate as he is proud about his family’s heritage and the legacy left now with him. Where does ‘Botanically Enthused’ originate from? My grandparents were both very keen gardeners and instrumental in the creation of Harlow Carr RHS in Harrogate and creating beautiful gardens at their homes in Birr Castle in Ireland and Nymans in Sussex. My father was the only member of the family to be born at Nymans and it was this start in his life which made him the “Botanically Enthused” person he became. As a child, he suffered terribly from croup and it was inhaling the fragrance of the hyssop grown under his bedroom window which gave him some relief from the incessant coughing. 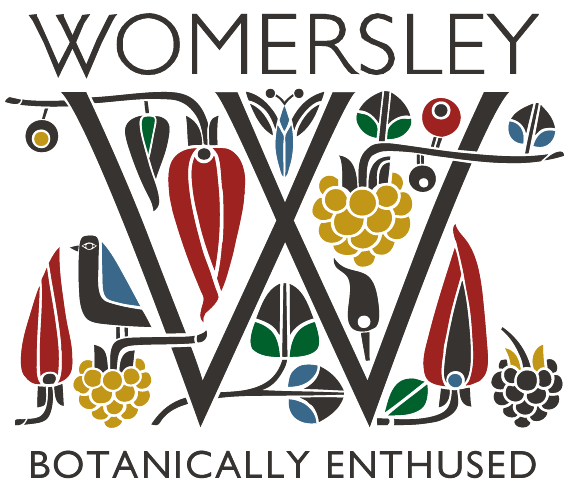 Years later, having moved to Womersley, my father used the kitchen garden to grow the masses of fruit and herbs which were eventually used in his concoctions which we make to this day. Without giving away any trade secrets, can you tell us how your dressings are made to get the botanical flavours in? We infuse our fruit (hence the play on words!) in the vinegar, add sugar to fix the flavours and filter it for clarity. 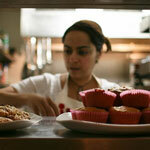 Importantly, though, the secret is just as much in the sourcing of good fruit and herbs. We grow many of the herbs ourselves and have spent many years choosing the fruit (most of which is still grown locally) which gives the best flavours. What are you hoping to achieve with Womersley in the next 5 years? Just as with rapeseed oil a few years ago, we are still seen as a niche product. However, fruit vinegar can be used cold (as part of a dressing, for instance) or, as with our Lime, Black Pepper and Lavender Vinegar Dressing hot when flavouring a stir fry or sweet and sour dish. By expanding on this versatility, I hope we can win even more favourable endorsements than we have already achieved and so get greater recognition for what is actually a staple food ingredient. To achieve this, we encourage as many people as possible to send us their recipes: this is the best way to show the wide range of uses and achieve the sort of results that the rapeseed oil producers have now achieved. I feel that my father’s and mother’s creations deserve to see this level of success and appreciation. What is your favourite product in your range and why? It varies, but currently I just love our Lime, Black Pepper and Lavender Vinegar Dressing. The sweet and sour blend is a refreshing twist and I love that true lime flavour. What is your proudest achievement at Womersley? Building a well recognised brand which does justice to my heritage and continues with the high quality of what we have always produced. And most of all, by being sufficiently confident to do things differently to my parents whilst still gaining their approval. If you’d like more information about Rupert or the Womersley range, you can get in touch via his website, Twitter or Facebook.